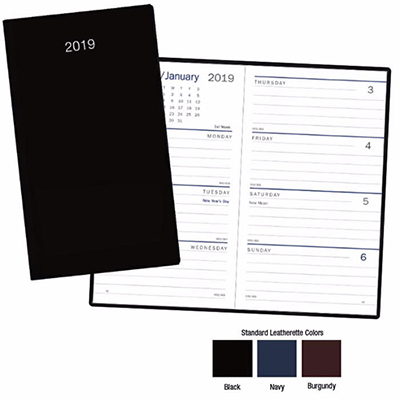 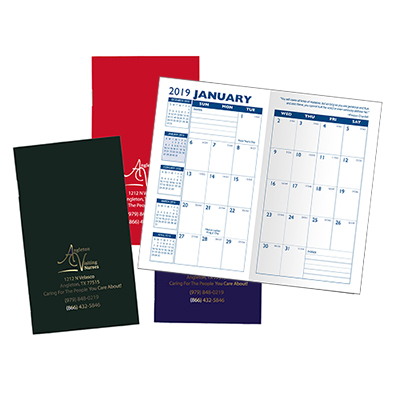 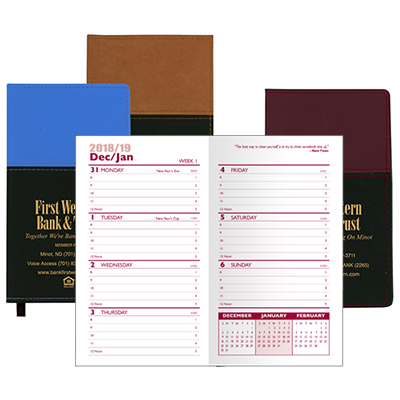 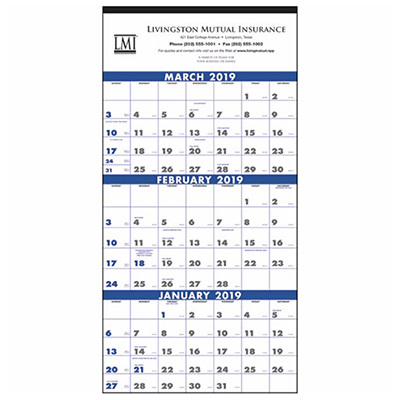 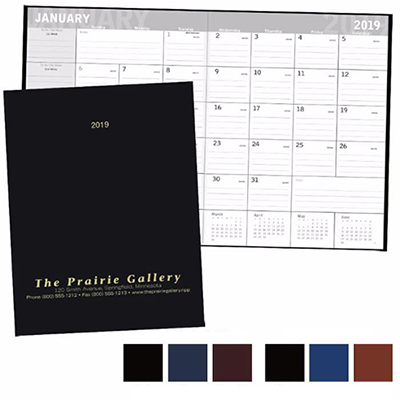 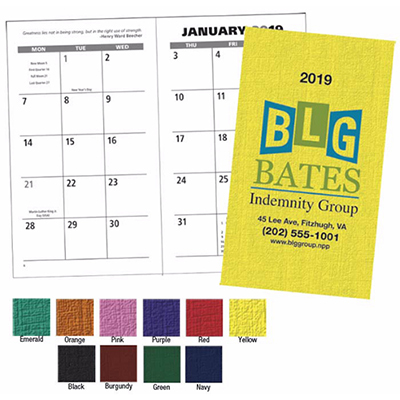 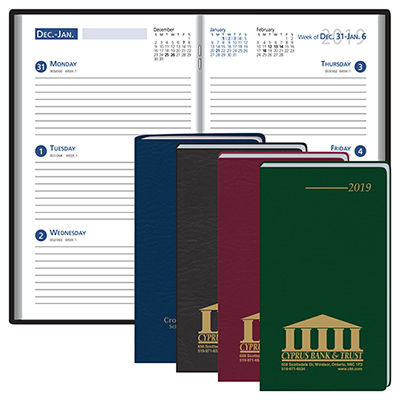 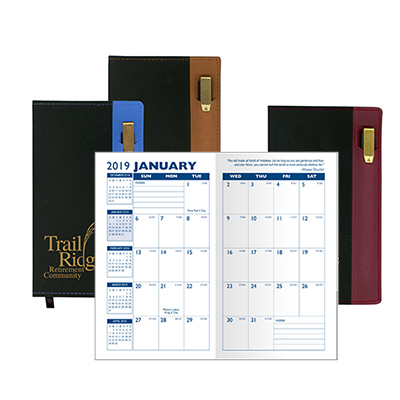 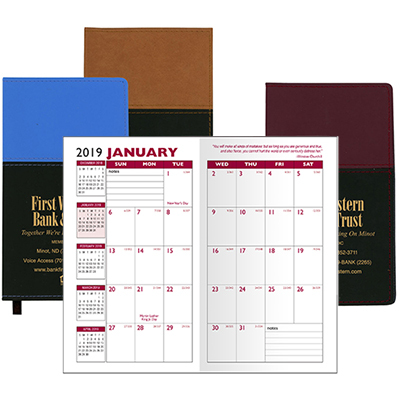 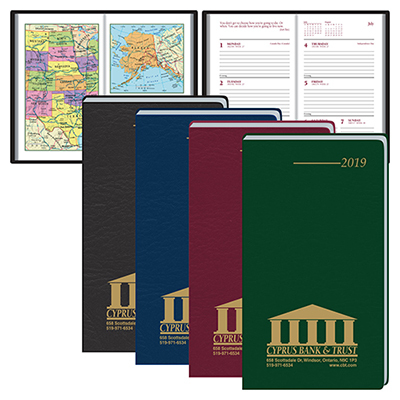 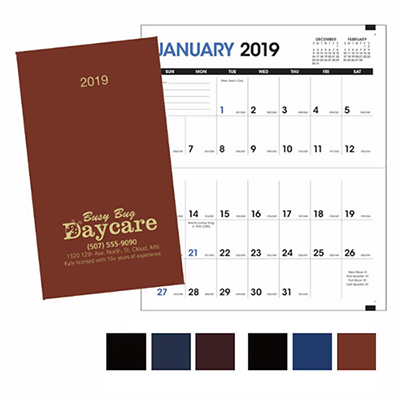 Personalized monthly planners have helped office-goers stay organized for many years now. They allow users to jot down important notes wherever they are. 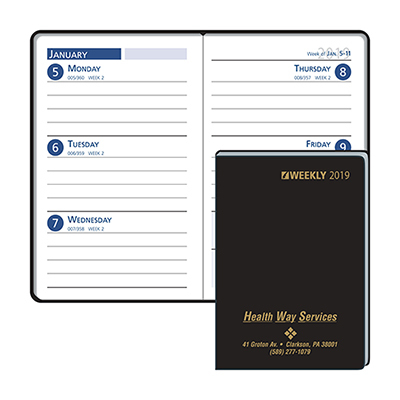 Planners help users maintain a schedule for the week, month or year. 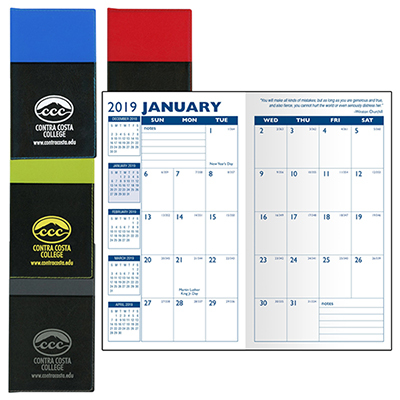 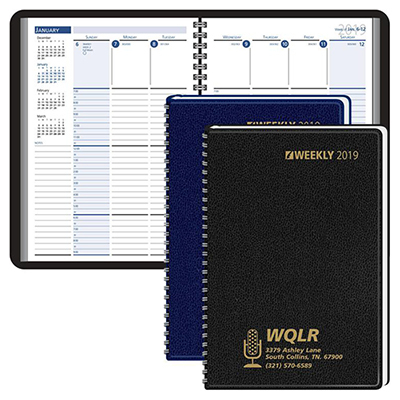 Count on our promotional planners to help employees/customers continue being organized and productive in their daily life! 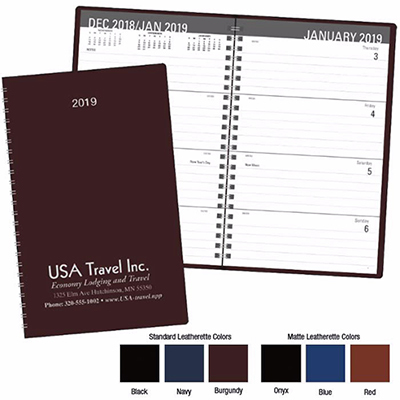 The most inexpensive planner on this page is priced at $.54. 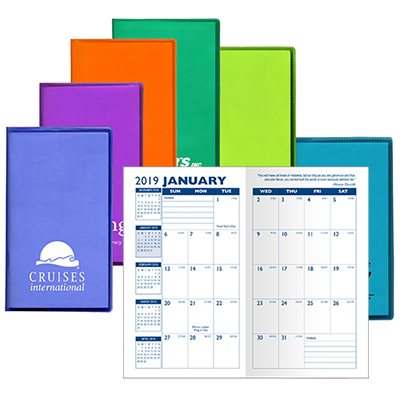 You will find several promotional items below $1. 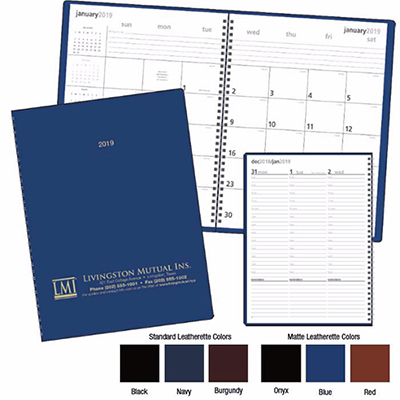 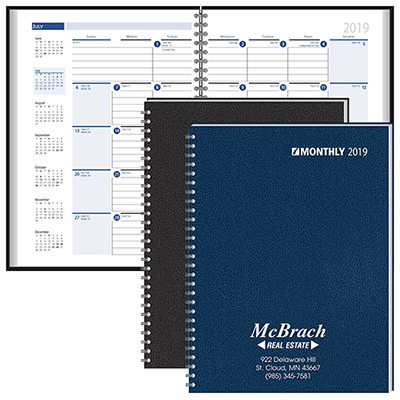 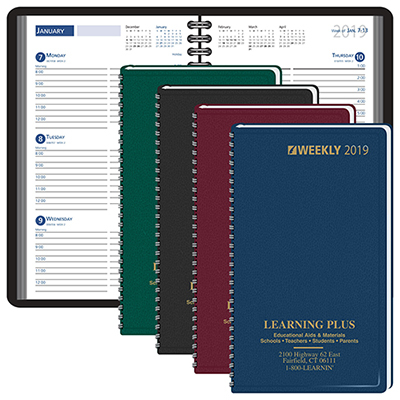 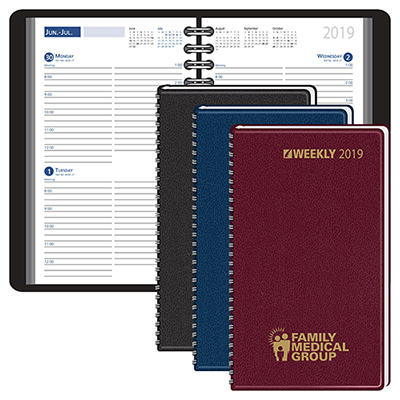 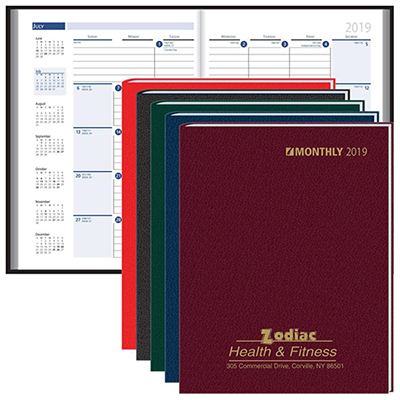 These monthly & weekly planners are ideal for bulk distribution. 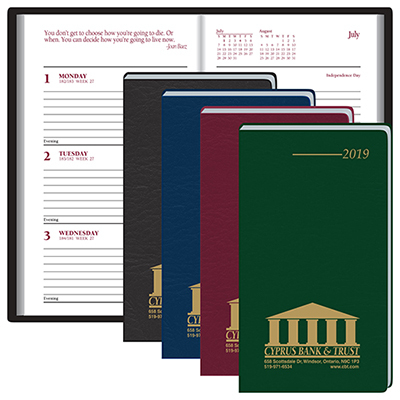 The most expensive planner on this page is available at a low price of $9.90. 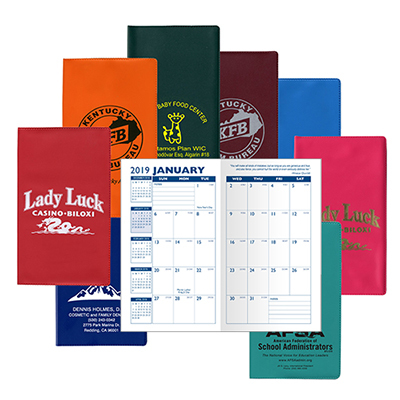 They can be used to impress your long-term cherished clients. 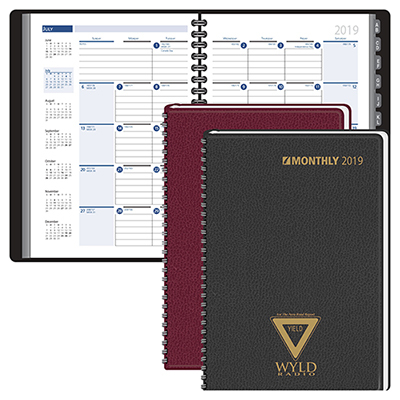 The flexible pricing of our planners is proof of our endeavor to provide buyers with quality products at affordable rates. 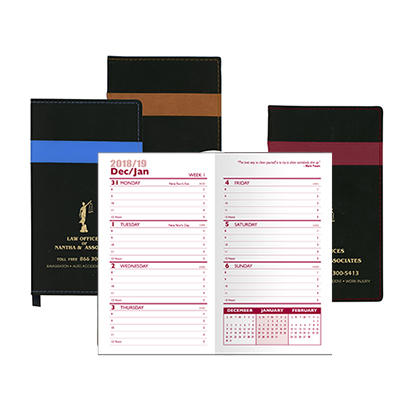 We hope you have a good time ordering from our site! 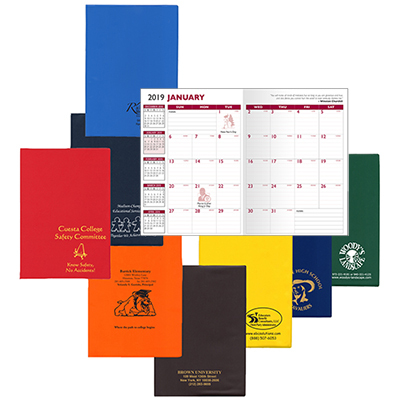 Get in touch with us if you are uncertain which planner suits your marketing requirement. 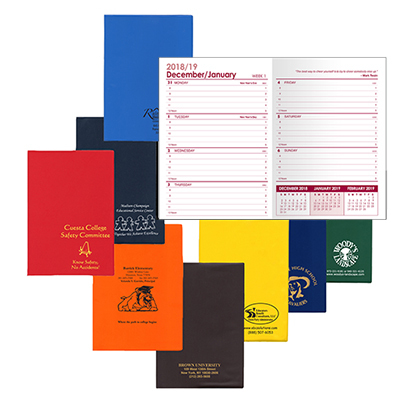 We will provide you quality input that places you firmly on the path to a successful marketing campaign!